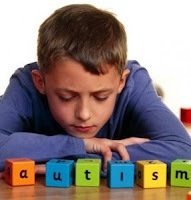 Autism is a kind of neurodegenerative disorder of infancy. What are characteristics of Autism? Exhibit repetitive behaviors of limited and obsessive interests. The impact of these behaviors may range from mild to disabilities. Autism varies widely in its severity in symptoms and may go unrecognized, especially in mildly affected children or when more debilitating handicaps cover it. The signs of Autism are generally visible by the age of 2-3 years and prevalent in about 6-8 children out of 1000 births. What are causes of Autism? Scientists are not certain what cause autism, but it is likely that both genetics and environment play a role. Yeast and germs built in digestive system because of Antibiotics usage at early age. Social interactions and relationships : Significant problems developing into non-verbal communication skills, such as eye-to-eye gazing, facial expressions, and body posture. Failure to establish friendships with children of the same age. Lack of interest in sharing enjoyment, interests or achievements with other people. Lack of empathy. People with autism may have difficulty in understanding another person's feelings, such as pain or sorrow. Verbal and nonverbal communication: Delay in, or lack of, learning to talk. As many as 50% of people with autism are unable to speak. Problems in taking steps to start a conversation. Also, people with autism have difficulties in continuing a conversation once it starts. Stereotyped and repetitive use of language: People with autism often repeat over and over a phrase they have heard previously (echolalia). Difficulty understanding their listener's perspective. For example, a person with autism may not understand someone using humor. They may interpret the communication word to word and fail to get the implied meaning. Limited interests in activities or play: An unusual focus on fragments: Younger children with autism often focus on toys by its part such as wheels of a toy car etc., rather than playing with the entire toy. Preoccupation with certain topics: For example, elder children and adults may feel fascinated by train schedules, weather patterns, or license plates. A need for evenness in routines: For example, a child with autism may always need to eat bread before salad and insist on driving the same route every day to school. Stereotyped behaviors: These may include body rocking and hand flapping. Autism sufferers do not understand the voice tone and body language. Do not respond to any call. Not even his or her name. Autism are usually noticed in the beginning by parents and other caregivers sometime during the child's first 3 years. Although autism is present at birth (congenital), signs of the disorder can be difficult to identify or diagnose during infancy. Parents often get concerned when their toddler does not like to be held; does not seem interested in playing certain games and does not start speaking. They also may be confused about their child's hearing abilities. It often seems that a child with autism does not hear, but he or she may appear to hear a noice from distant background noise like a whistle of a train etc. With early and intensive treatment, most children improve their ability to relate to others, communicate, and help themselves as they grow older. Contrary to popular myths about children with autism, very few are socially isolated completely or "live in a world of their own." About 10% of people with autism possess some form of special limited gifts such as memorizing lists, calculating calendar dates, drawing, or musical ability. Many people with autism have unusual sensory perceptions. For example, they may describe a light touch as painful and deep pressure that provides a calm feeling. Others may not feel pain at all. Some people with autism have strong food likes and dislikes and unusual preoccupations. Mental retardation is present in almost 75 % of autistic children. In the natural course, no significant developmental progress occurs in half, while a minimal improvement may be observed in the rest. Seizures occur in about 25 percent. For many children, autism symptoms improve with treatment and with aging. Some children with autism grow up to lead normal or near-normal lives. Children whose language skills regress early in life, usually before the age of three, appear to be at risk of developing epilepsy or seizure-like brain activity. During adolescence, some children with autism may become depressed or experience behavioral problems. Parents of these children should take treatments for their child as soon as possible. Ayurveda believes that the root cause of Autism is due to poor metabolism (the process of absorption of ingested food from intestine). 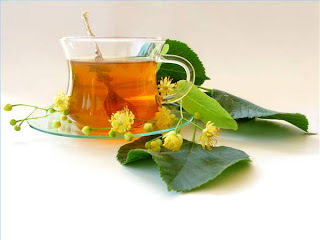 So, medicines to improve the digestive fire and improve the brain development are given. 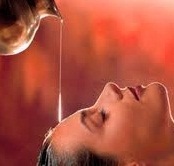 Snehana (Oleation therapy) – with herbal oils like Chandan bala lakshadi tailam, etc. Give nutritious foods like Cow's milk; Pulses like green gram and red gram; Fruits like apple, mango, awla, pomegranate, carrot, pear, etc. ; Olive oil and clarified butter (ghee) from cow's milk or medicated ghee; Green leafy vegetables. Avoid harmful foods like junk food, oily and spicy food, stale food, cold drinks, groundnuts, sago, curd, cheese, deserts, coffee, meat, alcohol, vegetables like potato, brinjal, sweet potato, etc.